Introducing my self to you all. I live in the mountains in central California and I just retired. 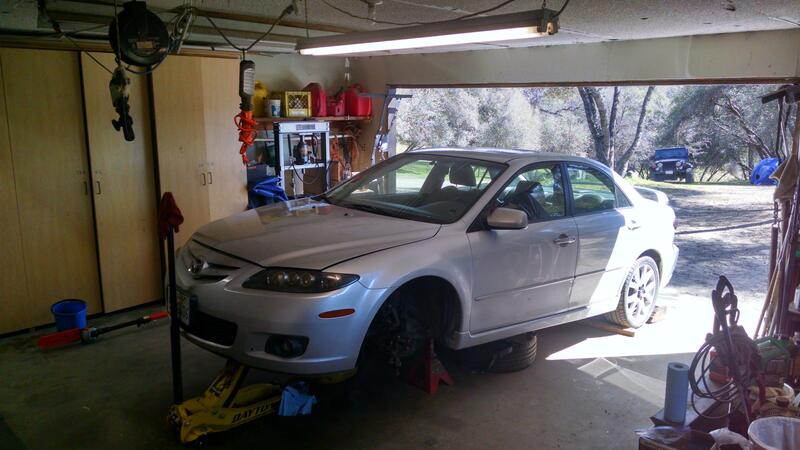 I've never owned a Mazda but I'm working on my 21 year old son's 2006 Mazda 6 S 5spd manual (I think its the A65M-R trans.) with 165,000 miles. My son cannot afford to spend much so I'm doing this for him and keeping the cost down for him. My user name is "2006Mazda6Alex" because my son is Alex...I'm Dave. The Mazda started having problems shifting into gear a few weeks ago after his friend borrowed it ...I'm sure the clutch was just going out anyhow. Problem is it finally wouldn't go into any gear (luckily happened in my driveway) so we pushed it into my garage an put it on jack stands in preparation to remove clutch. It can shift into all gears without using clutch pedal when engine is not running but cannot shift into any gear with engine running...it produces loud grinding noise. Verified clutch pedal operates fine under dash and slave cylinder moves clutch lever at trans. Tried bleeding clutch to see if any change but didn't help. Appears its the clutch. I have a 2011 Ford Fusion I just bough a few months ago for $800 that needed front end work. On the Fusion I've just replaced 2 bent control arms, Left and Right front Hubs and bearings (using my new Harbor Freight 20 ton press), one bent front knuckle and ABS sensor. 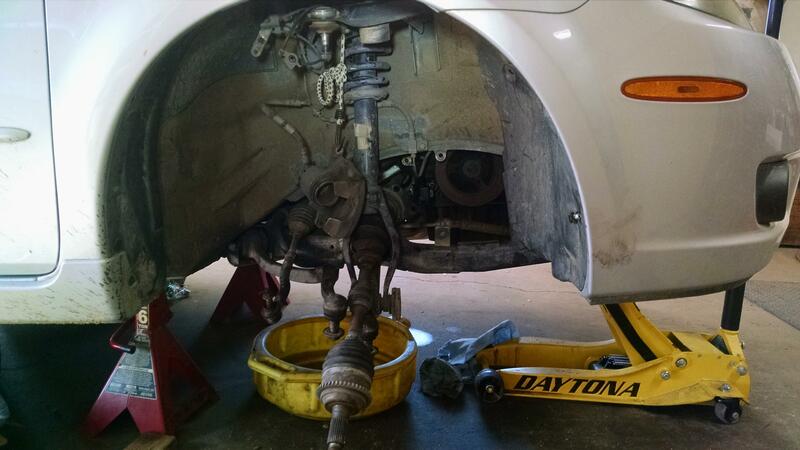 Since the front suspension on the Fusion is the same as this Mazda I've had no problem removing all that on the Mazda and have removed both axles and planing to replace axle seals. I'm at the point of lowering sub-frame once I've remove rack and pinion and other stuff bolted to it. I still need to remove motor/trans mounts. I've been lurking on this site for awhile trying to figure out the best way to remove the clutch. I've fortunately found lots of very helpful info on this Mazda from this site. I've got a Luk clutch kit from Rock Auto to install and hoping the flywheel is ok. Many thanks to all for this helpful website since I don't have a service manual for this vehicle. I plan to start a thread on 1st Gen forum but wanted to introduce myself and thank you all for the excellent help on this site I've received so far. Wow, you've got a lot done on that already for your son; I hope he appreciates it, and be sure to teach him what you can! Let us know if you've got any specific questions and we'll do our best to help. 6Crew.com used to have the full workshop manual hosted on their page, but it looks like both it, and the link to the original dropbox item have died. Thanks for the encouragement. One thing I have had problem with is finding the correct part number for the two axle seals in the trans. 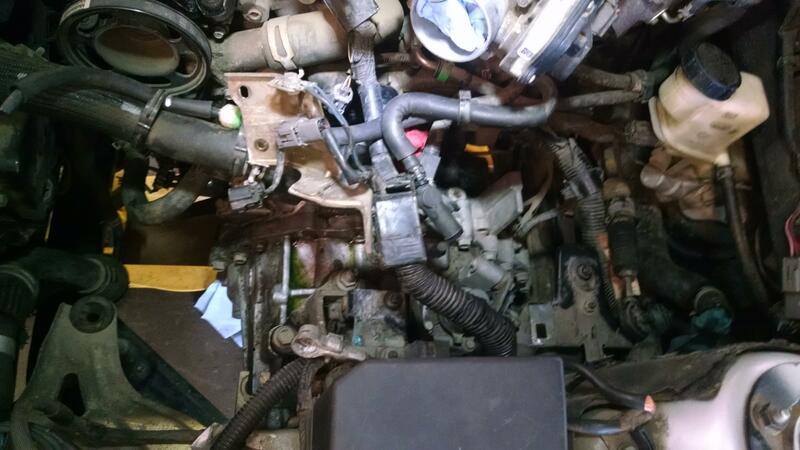 I've found PN AC01-27-238 which I assume is the Mazda part number. I also am assuming that the trans is A65M-R.
1. 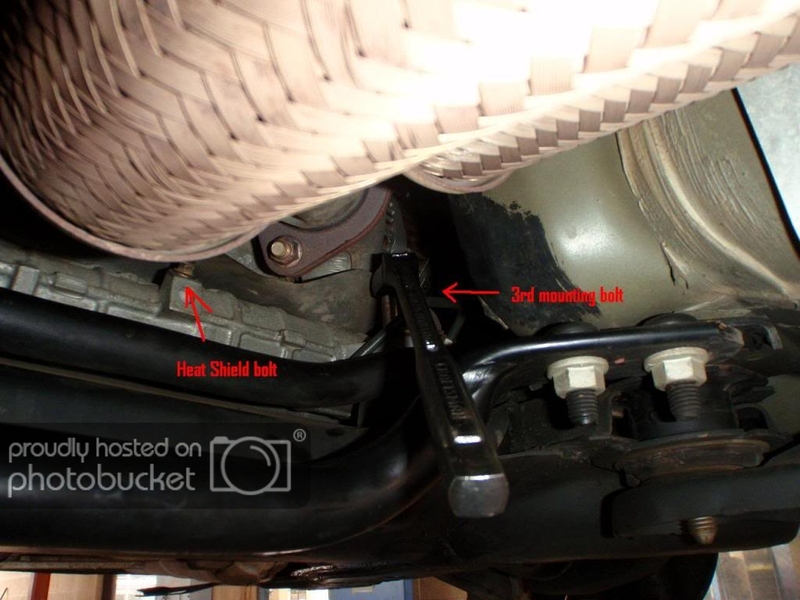 Is that the correct axle seal part number AC01-27-238 (and is it the same axle seal on Left and right? 2. Also, how can I verify the trans is A65R-M on the tans itself...is there an I plate or sticker anywhere...I have not foun anything yet? 3. I've read here that the Mazda axle seals are the better choice so I guess I will get them from Mazda. Should I replace the dust cover on intermediate shaft side with the seal...well, never mind...I guess it can't hurt to replace it if its not too pricey at Mazda. 4. Since I need 3 quarts of trans gear oil 75W90 what is a good choice that isn't too much money? I had planned to use this as a teaching tool (as I've done in the past) for my son but he's been busy at work so I've been doing it alone. He knows that he will have to help when I'm ready to lower sub frame and replace the clutch. I 'm going to try to just lower sub frame if that will work instead of removing it. I've taught my my son how to replace his 1995 Toyota pickup hub/bearing among other things so he's likes to learn. I have 8 kids (7 boys) and all have learned (even my daughter) from me how to repair their own trucks and anything that goes wrong..,.If its broke we fix it ourselves. Six months ago the boys helped me replace my 2005 Dodge diesel Cummins 4x4 clutch and we figured out how to repair the throw-out bearing that seized and damaged the input shaft using a $100 repair sleeve saving a total trans rebuild of $3,500 to replace input shaft. Your issue sounds very much like a clutch issue I had on my wife's Accord. It turned out to be a throw out bearing which made no noise when it died (which I was accustomed to). The only document I have from 6crew is the Fusion swap DIY. Wish I could offer more. Thank you for your response. I'll find out soon what up with the clutch. 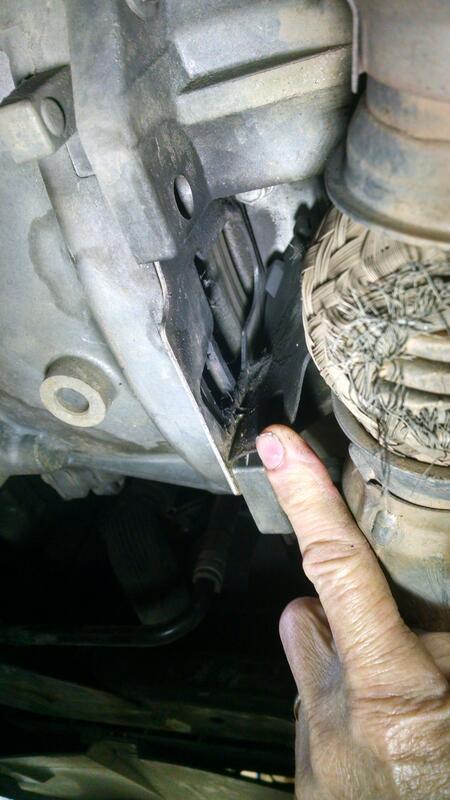 I smell the burned clutch when under the car. Everything is ready to start removal of the trans and lower the frame. I'll post my results of what I find. 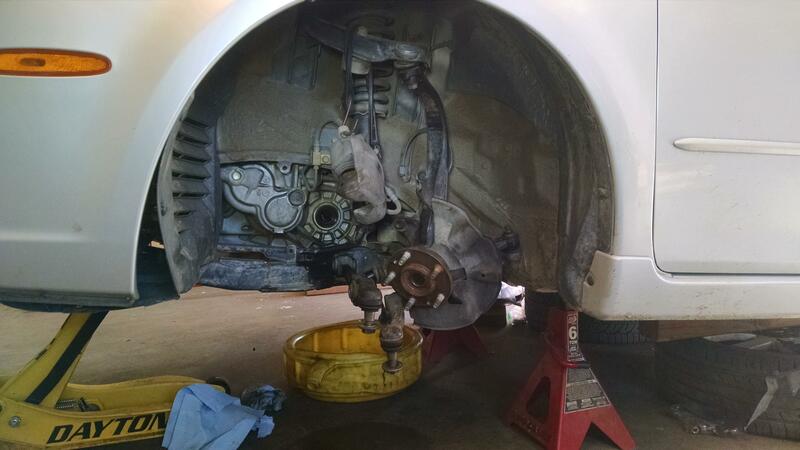 Boy that rack and pinion bolts we're very difficult to remove but I did it today. Hope I can get the bolts tight enough when I install it. Do you have any tips on getting it out? I’m taking my subframe out in the coming months for some rust repair, if you have any overall tips too that’d be great! Btw Welcome to the club! Welcome to the forum. And, way to start off with a big run of progress! I too look forward to seeing what your issue ended up being. I have a MTX and I fear that my clutch is not far off. I also heard some throw out bearing noise once, but it has been quiet since. That, in my experience, is not a good sign. PS - my name is Alex to (like your son). 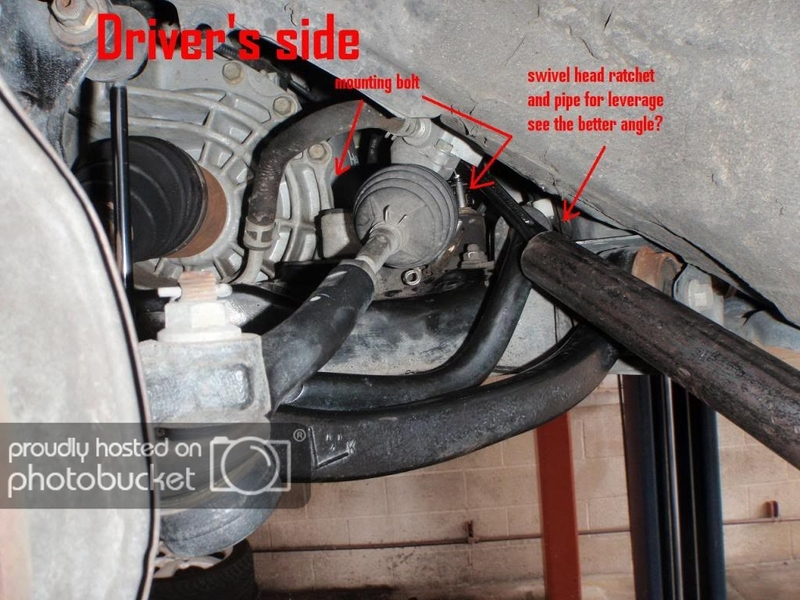 Yes I do have a suggestion on removal of the 3 steering rack bolts, and I found it in this thread on this site... uggh!...I can't add the link here for some reason. Here is what I have to find thread "V6 MTX Removal". 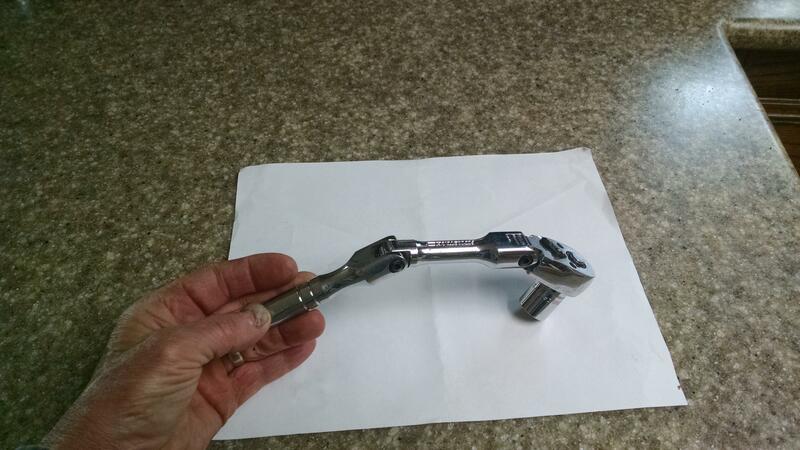 Mazda Atenza Forumn..Technical Performance..Mazda 6 1st gen...Engine Drive train..MTX Transmission discussion..."V6 MTX Removal"
Get a flex head ratchet like shown here ( 3 pics are from the thread above). I use a 3/8 in drive flex ratchet and it was too small. I'm geting a big 1/2 inch drive flex ratchet when I install the bolts. I haven't dropped the frame yet so I'll post results when I do. Those 3 bolts took me about 2 hours an skinned arm on exhaust shield on passenger side. 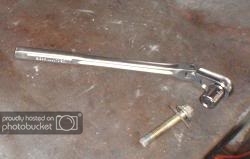 I saw a post where the rack was left on the frame and the power steering bolt for rack to steering column was removed requiring bleeding it later. I almost considered doing that. Thanks for replying Alex. I will take some pics of what I find. There is an inspection hole on the rear side of the trans where I can see and smell the "Brake Pad" type material in there. Its got a rubber type flap as shown in the pics. There was some fuzzy black clutch debries in there yesterday that I threw away. 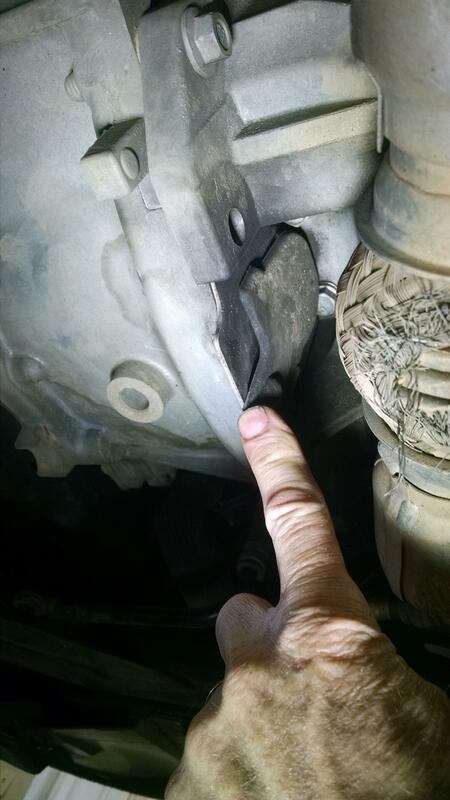 Also can see the fuzzy material in the slave clutch bracket hole.